People follow race action Monday on the Jumbotron set up in Buckley Park. It was showing live race footage and feature stories during the USA Pro Cycling Challenge in Durango. They say the camera adds 10 pounds. But yesterday afternoon, NBC Sports Network, which bought exclusive rights to broadcast the USA Pro Cycling Challenge, made little Durango look like a municipal heavyweight. Throughout 2½ hours of programming that reached millions of homes in 200 countries, NBC Sports commentators lavished praise on Durango  a shocking departure for a town that, until now, has enjoyed little national fame, but for being labeled the least fashion conscious town in America by USA Today and as the hometown of Sidney Spies. Phil Ligget, the main commentator, began the live broadcast saying, You know youre in Durango when you see the Durango Silverton Narrow Gauge Rail, as images of the train chugging through resplendent mountain valleys splashed on screen. NBC lingered on shots of Main Avenue, looking pristine, as the cyclists signed autographs before setting off for Telluride. Its tone of unabashed boosterism mirrored the first commercial to play in the break  paid for by the city of Durango  in which a gravelly voiced narrator said, Durango, Colorado: The place where the Wild West comes alive, as footage of skiing, horseback riding, the train and a pint overflowing with draft beer flashed in the background. The most Durango-centric segment aired 1:30 p.m.
As in coverage of the recent London Olympics, NBC presented emotional biographies of the athletes competing. This included Tom Danielson, a former Fort Lewis College graduate who spent eight years in Durango. At one point, I wanted to become mayor of Durango, Danielson said in a close-up interview, before the camera panned to him driving around FLC campus, biking up a mountain and walking around his palatial modernist home, accompanied by his beautiful wife and two young children. Danielson led the race until its final stages, when teammate Tyler Farrar sprinted to the finish. Still, commentators were charmed by the hometown boy: He had a great day and is now the leader in the Nissan King of the Mountains, said one. Man of the day in my opinion, agreed the other. 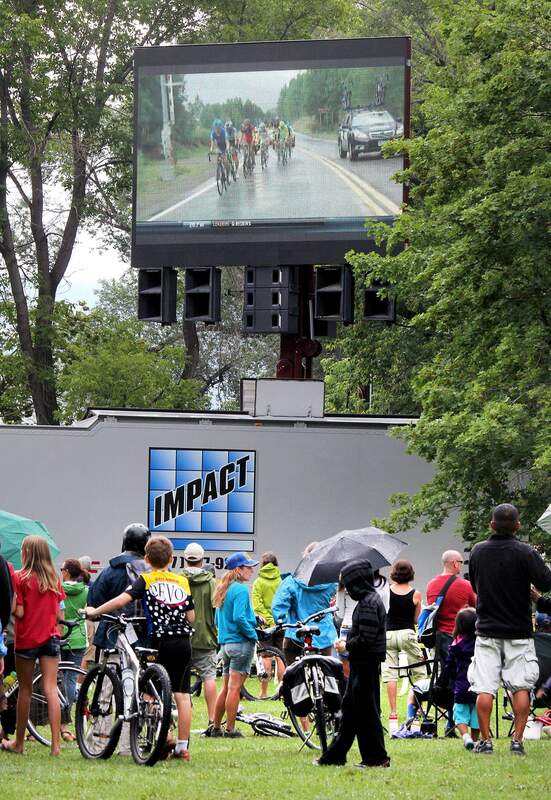 Locals watched NBCs coverage of the race on the giant Jumbotron in Buckley Park. When rain made this venue less palatable, many traveled to the Lost Dog, where the event played live on two screens above the bar and barflies offered a spirited running commentary. Other viewers opted for leather chairs, popcorn and the easy access to Makers Mark at the Back Space Theatre, which will project NBCs coverage on its movie-theater screen all week for free. He singled out FLC for particular commendation. Because of them, we were able to have an athletes village on campus, LeBlanc said. LeBlanc said, as yet, there are no plans for Durango to mount an Olympic bid  but he expects Durango to host more sporting events of this magnitude going forward. Asked whether he was preparing for next years Pro Cycle Challenge, LeBlanc said no, Im training for the next Tutu to Brew Parade (a kickoff ride from Buckley Park to Ska Brewing Co. in Bodo Industrial Park). I think Ill stick with my main event, he said.